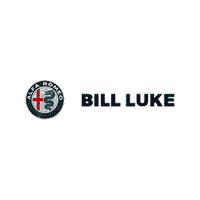 Make Bill Luke Suzuki Your Source for Suzuki Parts in the Southwestern US and Arizona. Having trouble finding the specific parts that you need for your new or used Equator, Grand Vitara, Kizashi or SX4? Not sure if you’ve even found the right one? At Bill Luke Suzuki, we know how frustrating the search can be. That’s why we staff a highly-efficient Suzuki parts department that proudly serves the greater Tempe, Phoenix, Scottsdale, and Avondale areas. Of course, it isn’t enough that we make finding parts for your new Suzuki model easy by knowing your vehicle inside and out. At Bill Luke Suzuki, we also make ordering as efficient as possible. Simply fill out our easy-to-use Suzuki parts order form below.